Over the course of the past century, music has been enriched by the talents of many wonderful musicians and songwriters. This wealth of creativity has delivered such an overwhelming quantity of material that we are forced to qualify the sounds into categories that enable the listener to define the listening experience. As musicians looking to expose our finesse while realizing the need for order, we choose to celebrate life with the richness and freedom of Jazz and the syncopation of Funk. FUNK SHUI, pronounced Funk Shway, is the brain child of Andreas Taber (guitars/vocals). 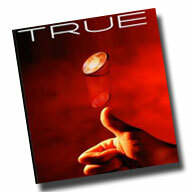 We have finally completed recording our first CD, TRUE. To order a copy, contact us via email: info_funkshui@yahoo.com to get our mailing address. We will accept either a cheque or money order in the amount of $11.50. This price includes shipping costs in the United States including Hawaii, Alaska and Puerto Rico. International orders may include additional postage costs. Those friends in far away places are asked to contact us via email prior to sending payment so that we may quote you the exact purchase price. Click here to order a copy from CDBaby!